When I’m in the car by myself, it’s usually silent. When I get tired of the silence I either switch to XM, an audiobook, Pandora, or YouTube. It all depends what kind of mood I’m in and how long I’ll be in the car. Every Tuesday, I commute to the office which is about an hour and a half drive after I drop the kids off at daycare. Side note, we listen to Pandora “Toddler Tunes” channel on our way to the kids’ school. Once I’m done giving ~30 hugs and ~15 kisses and getting back in the car, I’m usually in such a hurry, Toddler Tunes stays on for a few songs until I realize I’m ALONE and I’m listening to the kids’ channel instead of ANYTHING else. Don’t get me wrong, there are some jams on Toddler Tunes, but I prefer tons of other kinds of music to nursery rhymes and lullabies. I don’t remember what I listened to for the first hour or so of the drive, but what I listened to for the last half hour changed my life. Let me set the stage; it’s Tuesday around 8 am and I’m driving on 88 West towards work. I’m hurrying because we’re getting the HMH moms together before work for a quick couple of hugs and jokes, oh and DONUTS. I’m starting to get pumped up, excited to see these ladies so I decide I’m in a YouTube rap kinda mood. I crank up the volume and get ready to listen to……hmmm……I do a quick search for “On to the Next One” by Jay-Z and Swizz Beatz and start singing along. What’s next? What’s next? If I don’t like what comes on autoplay next I’m going to listen to……Eminem/MGK battles….Yes! I am feeling great. Then I got distracted by the GPS talking over the music (I HATE THAT) and then forgot I was going to change songs. Good thing I didn’t though – because after a few minutes, what came on autoplay next WILL NOT LEAVE MY HEAD. After two rap songs I found myself confused, listening to this “Motivational Speech by Navy Seal Admiral William H. McRaven”. What in THE hell? I’m getting all hyped up in my car and all the sudden I start listening to a commencement speech to students of University of Texas in 2014. Huh? Why is this happening? Did I accidentally change the YouTube channel? Nope. Upon further examination at the stop light, Google, in all of their wisdom, used their algorithm and my search history to keep me engaged with a customized Autoplay list. Nice idea, bad implementation. Why? The only things I listen to on YouTube in the car are rap from my younger days and Ted Talks. These things don’t go together in one playlist Google! Anyway, I didn’t plan on listening to this speech, but this man’s opening lines got me hooked. Bait, line, and sinker. He had me laughing in seconds so I stuck with the Admiral instead of switching over to Eminem. Guys, listen to this video. PUH-LEAZE! Listen to it everyday. It’s long, but it’s what I needed. I bet it’s what you need too. Maybe it’s because I realized this week is my son’s last semester of high school. Graduation is literally 5 months away and then he’s going off into the world…….sob……Maybe it’s because it’s a new year, a new chance to start things off on the right foot…. 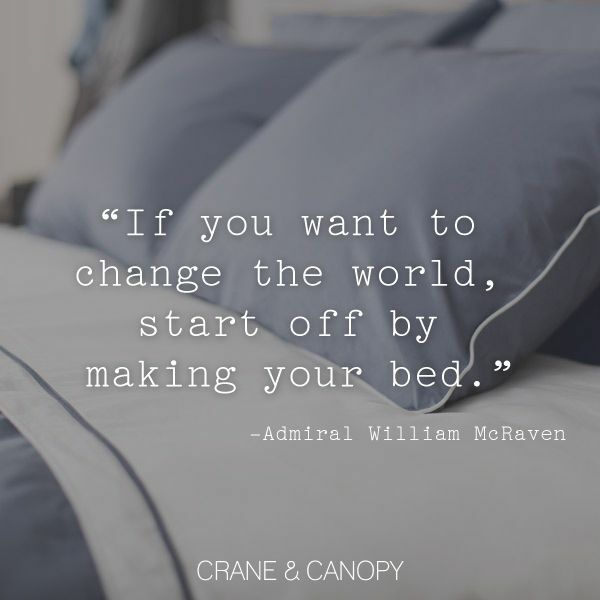 Admiral McRaven, I love you. I love your message. Thanks to you, I’ve been thinking about the people who I’ve met who have changed my life forever. Likewise, I’m trying to count how many people I may have helped changed their lives forever. Change can be a powerful thing and this speech illustrates this beautifully with numbers (how I love math!) If that message isn’t enough, the Admiral goes into the top 10 lessons he learned in Basic Seal training, and made sure those lessons translated into practical applications to graduates. I can’t believe the irony of starting off my YouTube session with “On to the Next One” and autoplay serving me exactly what I needed on the next video. I won’t give you any hints because I want you to listen to it. This man can tell a story. You won’t regret it. When you’re done, comment below and tell me what you think! Which of the 10 life lessons were your favorite? P.S. If you’d rather read Admiral McRaven’s speech than listen to it, you can do so here. P.P.S. You can purchase his book “Make Your Bed: Little Things That Can Change Your Life…And Maybe the World” here.